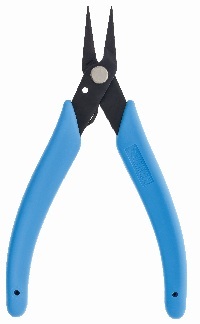 A flat nose (duck bill) version of our Model 485 Long Nose Plier. Flat, smooth blades are perfect for wire bending or forming operations. Ergonomically shaped grips and return spring offer operator comfort and control.